One of the great things about living in Portland is being so close to Seattle. The short, three-hour drive makes for an easy weekend getaway if you can manage to get out-of-town before rush hour. My fiance and I have typically found that leaving Portland around 1 p.m. does the trick. Any later than that and you’re bound to hit some major Seatac traffic. 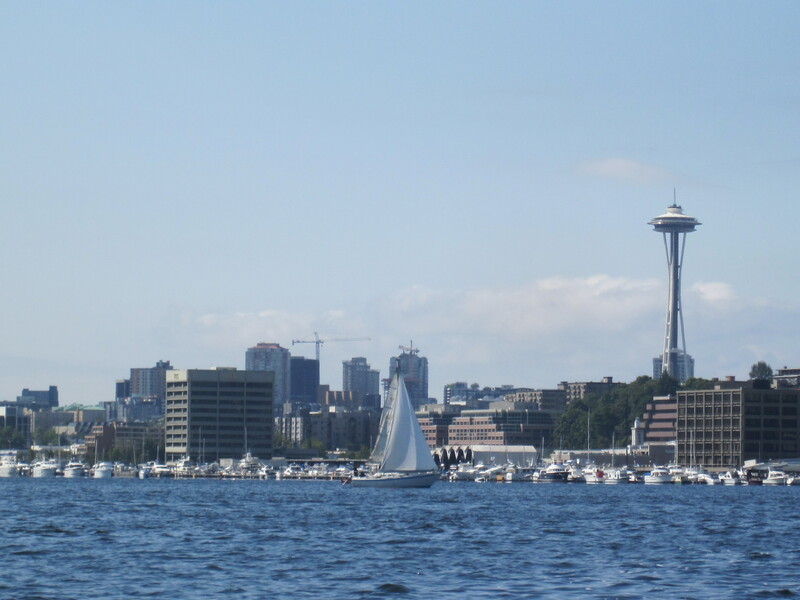 Last summer we managed to squeeze in one weekend getaway to Seattle. Our original plan was to meet a group of friends at the Mariners/Red Sox game on Saturday evening but we decided to drive up after work on Friday so we could do some extra exploring. We contemplated between the Experience Music Project, Seattle Aquarium or Ride the Duck’s Tour and ultimately settled on the latter because my brother enjoyed a similar tour in Boston and it was just too darn nice to be inside! After you’ve lived in the Pacific Northwest for a few years, you learn to take advantage of the nice days! 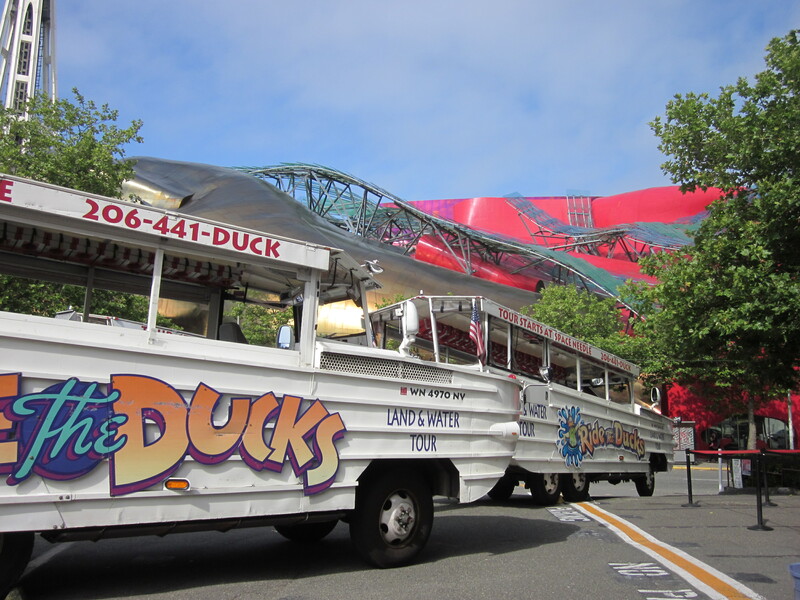 We ended up buying our tickets ahead of time because the Ride the Duck’s website indicated that weekend tours sell out quickly – and they weren’t lying. There was a large crowd outside their 5th Avenue and Broad Street location when we arrived and each ticket window was offering Sunday tours because they had already sold out for the day. Needless to say, it was a good idea to get tickets early! Before you even step foot on the six wheeled amphibious vehicle, you know you’re in for some fun. Each “duck” is equipped with a sound system that booms classic “pump-up” tunes from the likes of MC Hammer, AC DC, Queen, Bon Jovi and even some old school Fresh Prince. 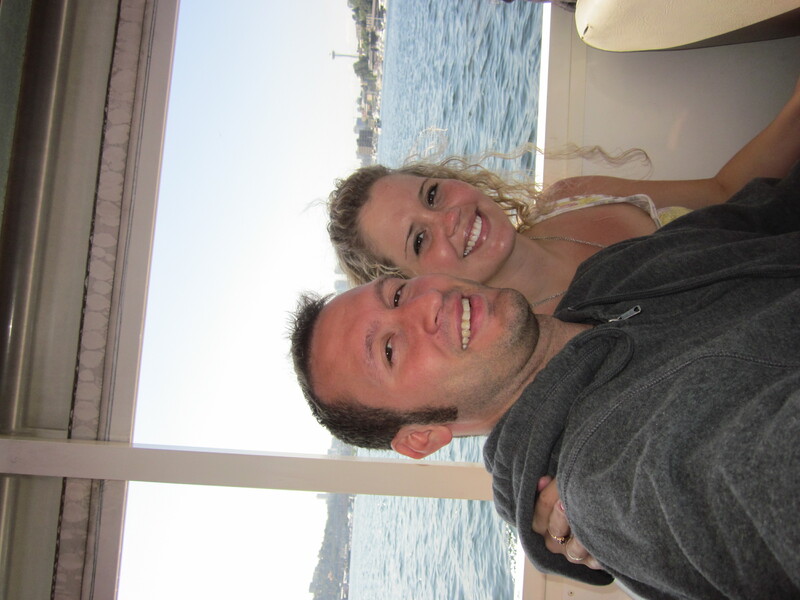 Just cruising through the streets of Seattle in the towering, 2 ton vehicle would be a good time but what really sets the tone for your tour is the captain. Their sole mission is to entertain you and they will stop at nothing to do so – utilizing wacky hats, silly puns, and corny sing-a-long songs. If you’re easily annoyed by that kind of stuff, then this tour isn’t for you. Me? I enjoyed every minute. 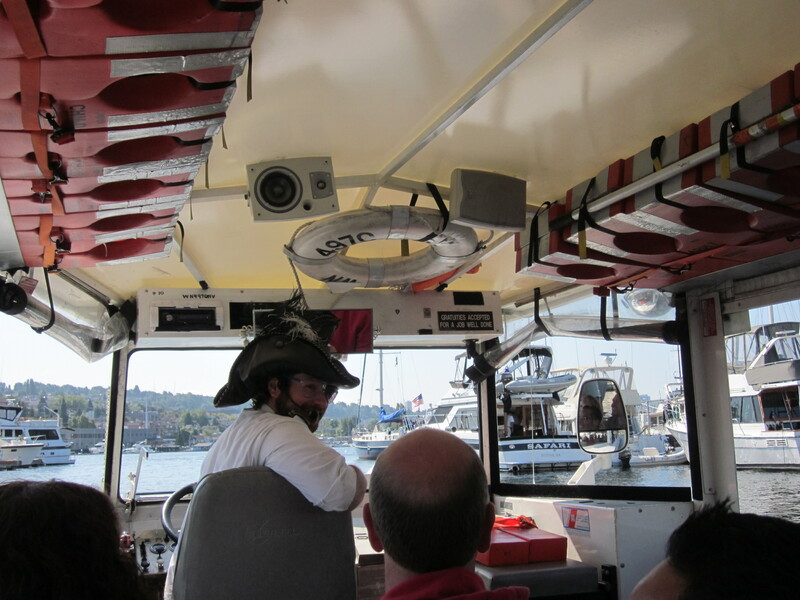 And just to be clear, the Ride the Ducks Tour wasn’t all fun and games….we did learn some interesting things about Seattle (like did you know the Space Needle used to be orange??) and got to drive through Lake Union. Yep, I said drive. 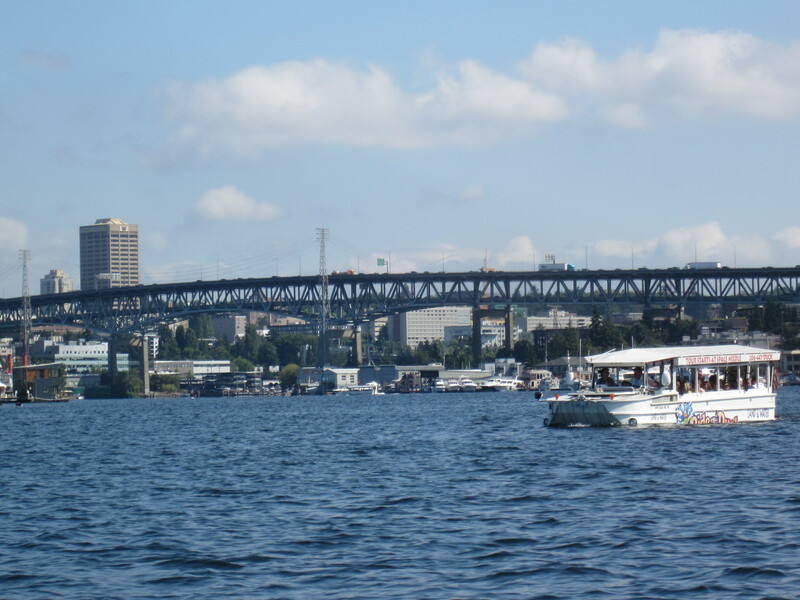 The “duck” seamlessly drove from the dock right into Lake Union and cruised at a pace of about 6 miles per hour. The view from Lake Union was absolutely beautiful. 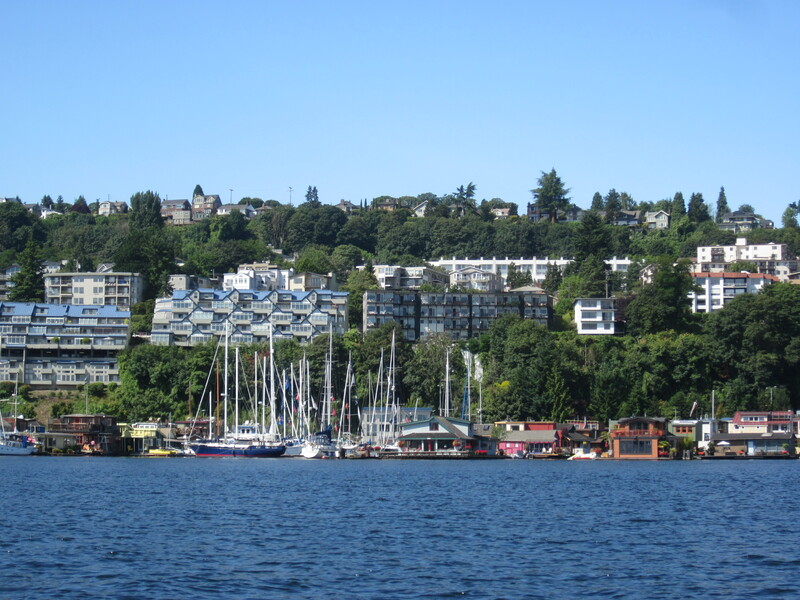 We got to see the famous Sleepless in Seattle house boat and watch a sea plane landing. The tour was a great way to see and learn about the city in a small amount of time. I would definitely recommend it for those who are light at heart and looking for a good time. Even skeptical, local Seattlies say they’ve enjoyed what they thought was going to be a “cheesy tourist attraction” when family was in town. 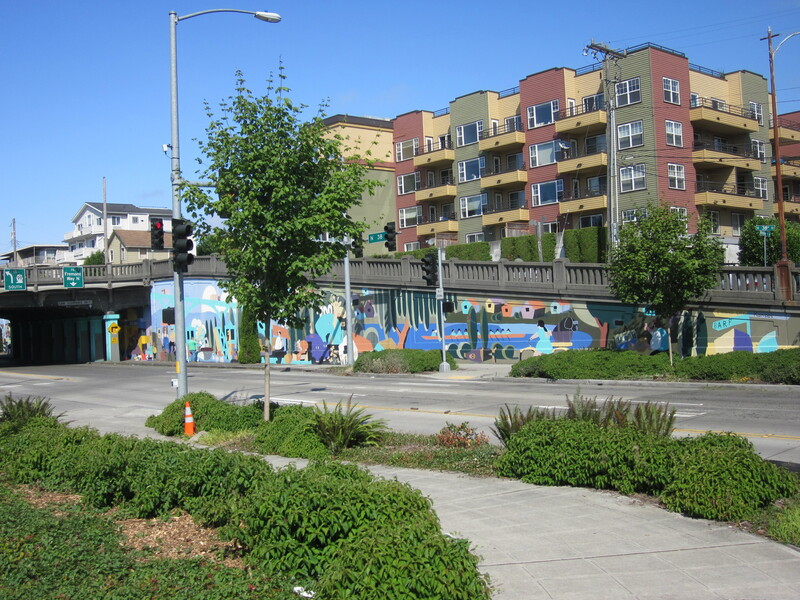 So if you find yourself in Seattle, check it out and let me know what you think! Love the updated blog! I have yet to take this tour but it’s on my to-do list! Thanks, Dani…it was time for something fresh! You’ll have to go when it starts to feel more like summer in the PNW!